The fifth release of AFR clan is something really special. 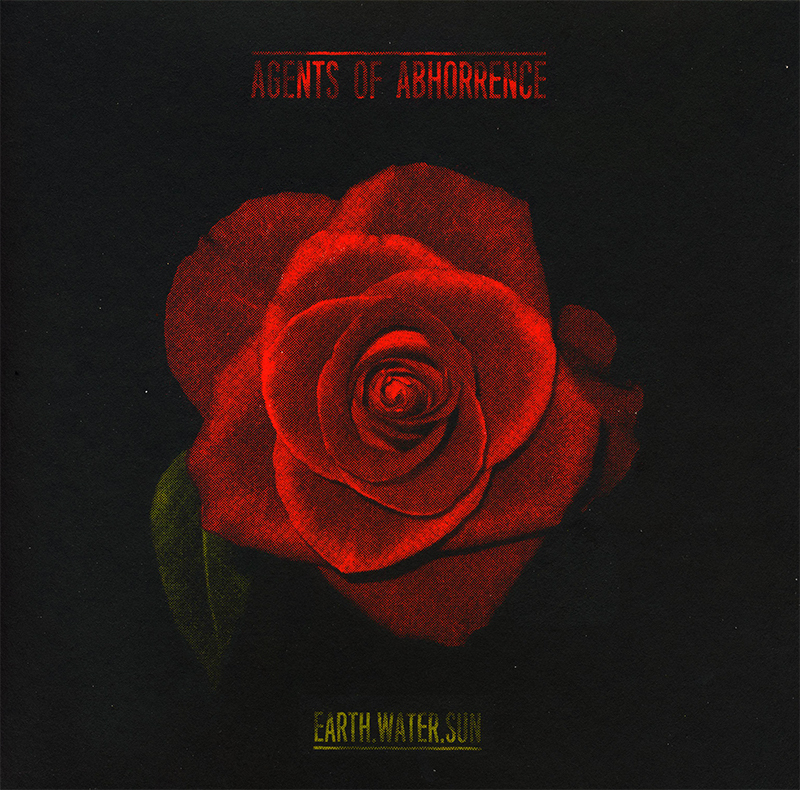 To honour the 10th anniversary of Earth.Water.Sun from Aussie rippers Agents of Abhorrence, we decided to make a reissue of this gem on wax. The original recording was released as a CD on cult label 625 Thrashcore records and Numerical Thief. After exchanging a few emails with the band and Max from 625, they gave us the green light and the preparations began. The result of our work is a one-sided milky 10inch vinyl housed in a luxurious three-coloured cover. As the strange artwork suggests, Agents of Abhorrence have never been about predictable oldschool grindcore. Their approach to extreme music is very unique. The riffs are heavily influenced by noise rock and accompanied by raging blast beats and hysterical high-pitched vocals. The outcome of this weird combination is neurotic and punishing. The transformation of the sound from the original CD was handled by Brad Boatright from the Portland’s finest Audiosiege Studios (e.g. Nails, Noothgrush, Pentagram, Sleep, Integrity etc.). This beast of a record comes out in a limited quantity without any plans of future repressing, so don’t sleep on this or you might miss your chance forever. Edition of 300 copies made by hand and hand numbered, three colored silk screen printed cover (red, leaf green, black) on heavyweight recycled paper with insert sheet paper including lyrics on 300 g black paper. Milky clear one sided 10 inch /45 rpm speed record housed in black paper sleeve. Silkscreen printed second/unused side of the record with rose graphics theme.